Cristóbal Mádan y Mádan meets the criteria I set out in my June 21st blog post for identifying the first true Cuban New Yorker. He was already in the city when Félix Varela arrived. He was involved in movements to sever Cuba from Spain, so he thought of himself as a Cuban, and he certainly had an enduring (if not always continuous) presence in New York City that possibly spanned as many as seven decades. In fact, Mádan is a Zelig-type of figure in the history of Cuban New York. Or perhaps he is closer to Forrest Gump. I don’t mean by that comparison that he was a comic figure (and I certainly do not mean any disrespect). What I mean by the comparison is that, like Forrest Gump, or Zelig, Mádan was a fairly nondescript low-profile sort of guy who was not among the most prominent historical figures, yet managed to be connected with all the major players of his day, his name surfacing almost unexpectedly at various critical points from 1823 all the way to the 1870s. In other words, he was a recurring background figure in the story of Cuban New York. I suspect that in large measure he had a low profile because he preferred it that way. He published his political essays under a pseudonym, for example. As with most behind-the-scenes personages he was not doubt a much more important player than what the historical record reveals. But the fact is that I cannot post here a drawing, painting, or a photograph of him because I have not been able to find one, nor do I know exactly when or how or where he died or where he is buried. [If anyone can fill those gaps I would appreciate hearing from you]. The Mádans originated in Waterford, Ireland, where the name was probably spelled Madden. Cristobal’s grandfather migrated to Havana by way of the Canary Islands around the time of the British occupation of the city, the right moment to get in on the ground floor of the sugar boom. The family lived in Havana, but their mills were in the Matanzas region. Cristóbal was named after his maternal grandfather, who was also his father’s uncle. Cristóbal’s father, Joaquín, had married a first cousin, Josefa Nicasia Mádan (not unusual among landed elites everywhere, like, say, Ashley Wilkes and Melanie Hamilton). 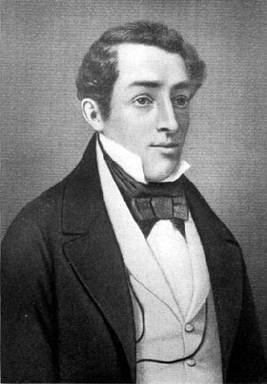 Joaquín and Josefa had six children, of which Cristóbal was the youngest and the only male. After his wife died, Joaquín married yet another first cousin, Josefa’s sister. They had no children. 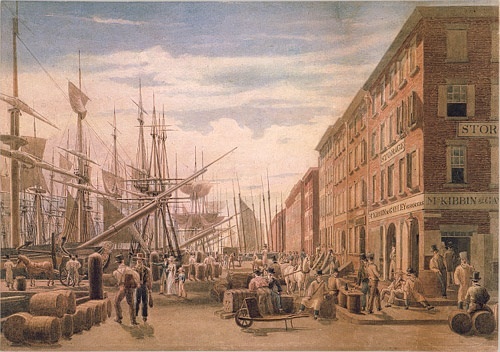 a New Englander who was engaged in importing sugar from the mills of the Madans and other Cuban producers. It was there that “Cristobalito” greeted his former teacher, Father Félix Varela, when the priest arrived in Manhattan on December 15, 1823. One week later, Mádan also welcomed to the city a friend from Matanzas: the poet José María Heredia. Cristóbal helped both of those prominent Cubans find housing and establish a foothold in the city. 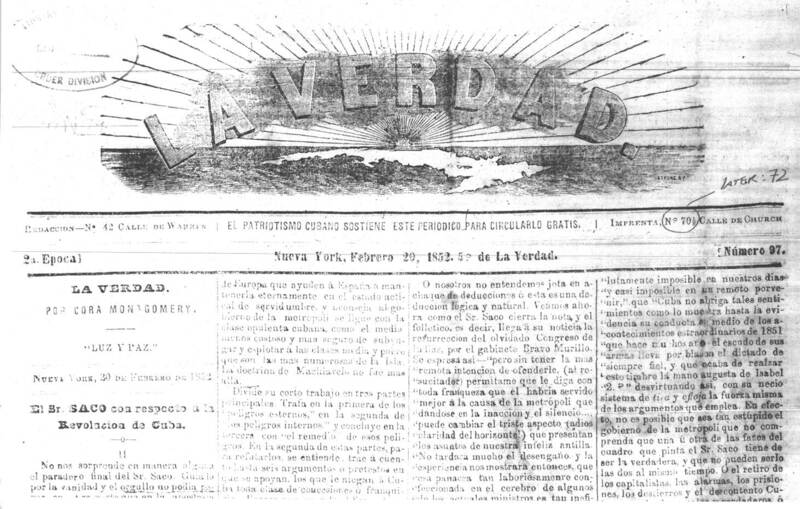 Heredia would address him facetiously as “My Dear Consul,” referring in a letter to Mádan to the “laborious and sterile job the Republic has entrusted to you” in New York (a “Republic” that at that time existed only in the thoughts of Varela and Heredia). lived continuously in New York. Mádan led what we would call today a transnational life, dividing his time between New York, Havana, and Matanzas. All of his children, for example, were born in Cuba. also responsible for connecting his fellow sugarocrats with influential Americans who favored annexing Cuba. It is not difficult to see why he was the point man for that connection. His second wife Mary was a New York Irish-American named Mary O’Sullivan, the sister of John L. O’Sullivan, an influential New York Democrat and a committed expansionist who is credited with coining the term “Manifest Destiny.” O’Sullivan convinced President James Polk to make an offer to Spain to buy Cuba, an offer that was, of course, roundly rejected by Madrid. Cristóbal emerges again in New York among the refugees from the war for independence that started in 1868. Already in his sixties, his economic situation was in a tailspin with the embargo of properties that the Spanish leveled against Cubans who left the island. The war had created a large community of displaced Cubans in New York, and Cristóbal returned to his role as the city’s “unofficial Cuban Consul,” using his longstanding contacts with city officials and with the Catholic archdiocese to help Cubans in need. Mádan probably returned to Cuba after the end of the war in 1878 to try to recover his embargoed properties, something many other Cuban New Yorkers also tried to do, with no success. The treaty that ended the war guaranteed amnesty and a safe return to exiled Cubans, but was silent on returning embargoed properties. 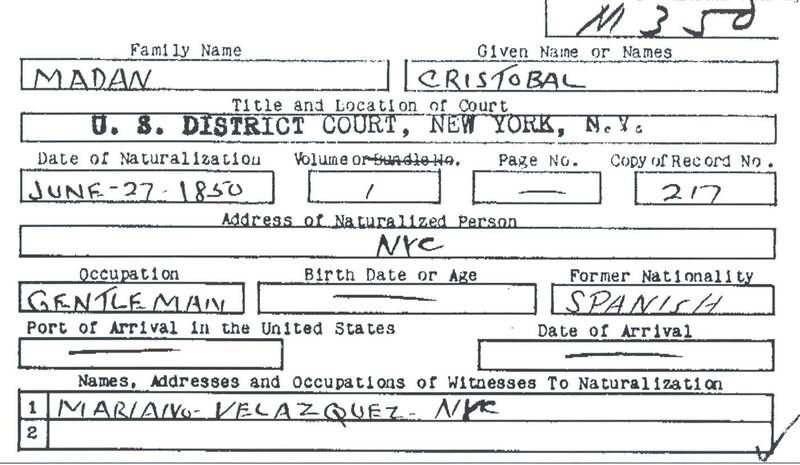 Cristóbal probably lived out his life in Havana attending to his law practice, which also tied him to the next stage in the development of Cuban New York. His law office once hired a young teenaged intern by the name of José Martí. So the case for Mádan as the first Cuban New Yorker is a strong one. He arrived before – in fact greeted – two of the towering figures of Cuban New York: Varela and Heredia. He had a deep and abiding, if not always permanent, connection with the city his entire life. His political activities make clear that he identified not as Spanish, but as Cuban. Of course, he did not have the impact that Varela had on New York. And we would need to be reconciled to the idea that the first Cuban New Yorker was an annexationist and a slave owner. In a future blog, the case for Varela.